With clashing swords and combat to first blood or death, trial by combat, whether criminal or civil, was not an uncommon way to settle disputes in England in the Middle Ages. In fact, the issue arose in 1818 when someone demanded to settle a dispute in such a manner. Yes, indeed, it was still on the books, though hadn’t been used for hundreds of years. By the Regency, England’s courts had evolved from the days of trial by ordeal or combat or simple pronouncements from on high. They had become a complex and loosely jointed system of magistrates, justices of the peace, and circuit judges for the assizes. How the system evolved from the days of Anglo-Saxon rule until the Regency is a complex system on which entire books have been written. This is a brief description of the duties of the men who handled around ninety-five per cent of England’s criminal cases during our time period. It changed again in 1830, and then again in 1971, and we don’t need to fret about those because this is its own era. Who were justices of the peace and magistrates? They were usually gentlemen who sat in the various offices in London, hearing criminal trials brought to them from various sources. Coroners for murder, for example. Bow Street is the most famous of these offices, and possibly the most famous of the Bow Street magistrates is Sir John Fielding, brother to the eighteenth century author and also a Bow Street magistrate. Fielding, Sir John, was called the Blind Beak of Bow Street. A “beak” in street cant, was a respected man. Sir John was blinded serving in the royal Navy, but legend has it that he recognized the voices of 3,000 criminals. Outside of London, we had justices of the peace. These were gentlemen, but not peers. If a peer was a justice of the peace before gaining a peerage, he could keep the post, and peers did not take on the role. JPs performed the same duties of hearing cases as did magistrates. They were simply outside of London. Both sent serious criminal cases up the chain to higher judges. On a side note here, neither magistrates nor justices of the peace could perform weddings at this time. That fell solely under the jurisdiction of the Church of England. Outside of London, circuit judges traveled around the country and held trials at the assizes. Assizes occurred twice a year. That meant an innocent man accused of murder could languish in prison for up to six months until the next meeting of the assizes. Inside London, serious crimes such as murder were heard by the Court of the King’s Bench. Sadly, corruption, taking of bribes, and other forms of misconduct by judges was not uncommon. In some eras, though I haven’t found much evidence of it during the Regency, judges were removed and even sentenced to death for corrupt practices. Regardless of these slips into sin, a trial before a judge and jury proved far more effective than trial by combat or ordeal. 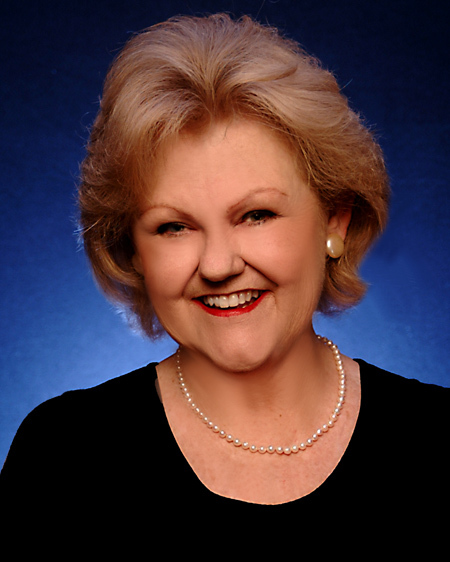 Veteran Regency author Regency Regina Scott joins us again to tell us a little more about her writing, as well as her love for Regencies. Regina’s first published book was The Unflappable Miss Fairchild in 1998, with Zebra Regency Romance. Since then she has published continuously, with 19 novels and four novellas to her credit. In the last couple of years, she has turned to writing Regencies with a Christian tone. These have found a home with Love Inspired Historicals. Her fifth Christian Regency, The Rake’s Redemption, is out this month. 1. Last time you were here, you told us about how you fell in love with the Regency time period. What can you tell us about the setting of this new book? This story is set entirely in London during the Season, but my hero is on the fringes of Society by his own choice, so there’s only a couple balls and most of the action takes place out of doors—driving in the forgotten corners of Hyde Park, meeting in secret at Vauxhall Gardens, dueling on Primrose Hill. 2. Was there any fun fact about the Regency period that you stumbled across in your research for this book that really fired up your imagination? Any little tidbit that prompted a plot point or a cool character moment? I stumbled across an article written just after the Regency that laid out the specific rules for duels, contrasting them to those of the French. Because my hero, Vaughn Everard, has a reputation as a duelist, knowing some of the rules he could choose to keep or break really helped me write the main dueling scene in the book and keep it in his character. I learned to fence when I was in college, so I really wanted to get that scene right! 3. Does your new book, “The Rake’s Redemption”, continue the story of any of the characters from your last book, “The Captain’s Courtship”? What did you enjoy about writing a linked story? Was there anything about that connection that made writing “The Rake’s Redemption” more difficult? 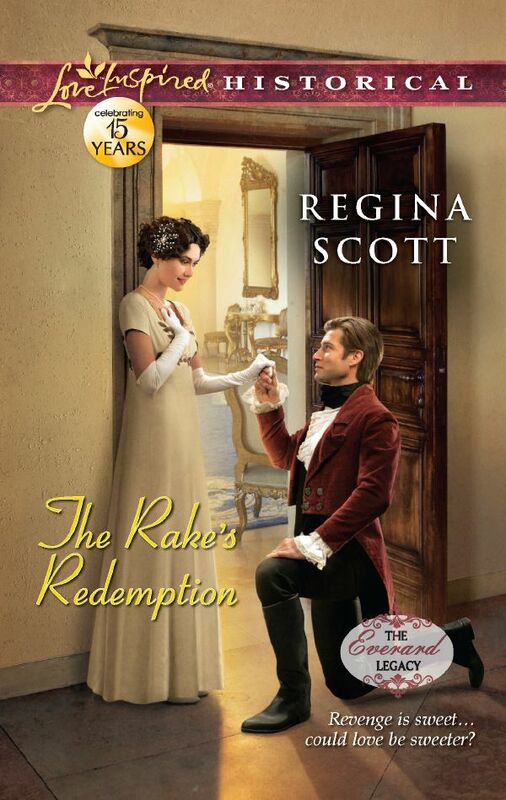 The Rake’s Redemption is the third book in the Everard Legacy miniseries, starting up shortly after The Captain’s Courtship left off. This book tells the story of how Vaughn Everard finally finds the man responsible for killing his beloved uncle, and his cousin Samantha’s continued attempts to fulfill the requirements of her father’s will. I love writing linked stories because they give you a bigger canvas on which to lay out an adventure. But they’re also hard, because if you decide later that it would have been better for the hero of book 1 to have done something to set you up for book 3, it’s too late! 4. Tell me a little bit about your hero, Vaughn Everard. Vaughn is the quintessential warrior poet—literally! He grew up before the Regency began, so he tends to have more of the swashbuckling attitude of the previous era—lace at his cuffs, sword at his side. That puts him in direct contrast with his more elegant, refined peers. And he writes moving, romantic poetry that sets all the ladies’ hearts a-flutter. Can you tell he’s my personal favorite of the three Everard gentlemen? 5. Tell me a little bit about your heroine, Lady Imogene Devary. Lady Imogene grew up sheltered, the apple of her father’s eye. But she’s noticed her father behaving oddly lately, and she cannot figure out why. The problems seemed to start when a certain poet began calling, demanding a moment with her father. So Lady Imogene sets out to discover what’s going on. Between her own natural charm and her father’s position as the Marquess of Widmore, she’d never had anyone refuse her least request. But then, she’s never met anyone like Vaughn before. 6. What can we look forward to next from you? Next March, the final book in the Everard Legacy comes out: The Heiress’s Homecoming. That’s Samantha’s story, set 8 years after the other three books, where we how the legacy plays out in her life. She’s only sixteen in the books out this year, so I wanted to give a little time to come into her own. 7. Where else on the web can our readers find you? Readers can find me at my webpage at www.reginascott.com, the blog I share with young adult author Marissa Doyle at NineteenTeen, Goodreads at http://www.goodreads.com/reginascott or the Love Inspired Historical Group at http://www.goodreads.com/group/show/24770-love-inspired-historicals. Thanks for visiting us today, Regina! Any Regency aficionado knows that many of our stories are set in the years 1811-1820 when George IV, Prince of Wales was made the Prince Regent. In the Regency Act of 1811 Parliament determined that King George III was unfit to rule. But what do we know of King George III, what is the legacy he left behind during the longest reign of a king up to that point in history? Personally, he married Charlotte of Mechlenberg-Streltitz and bore fifteen children. It says much about the time that, though his popularity waned over his reign,England’s populace was always proud of him for being faithful to his wife of 59 years! Side note: Queen Charlotte is noted to have African ancestry, from Margarita de Castro e Souza, a 15th-century Portuguese noblewoman part of the black branch of the Portuguese Royal House. 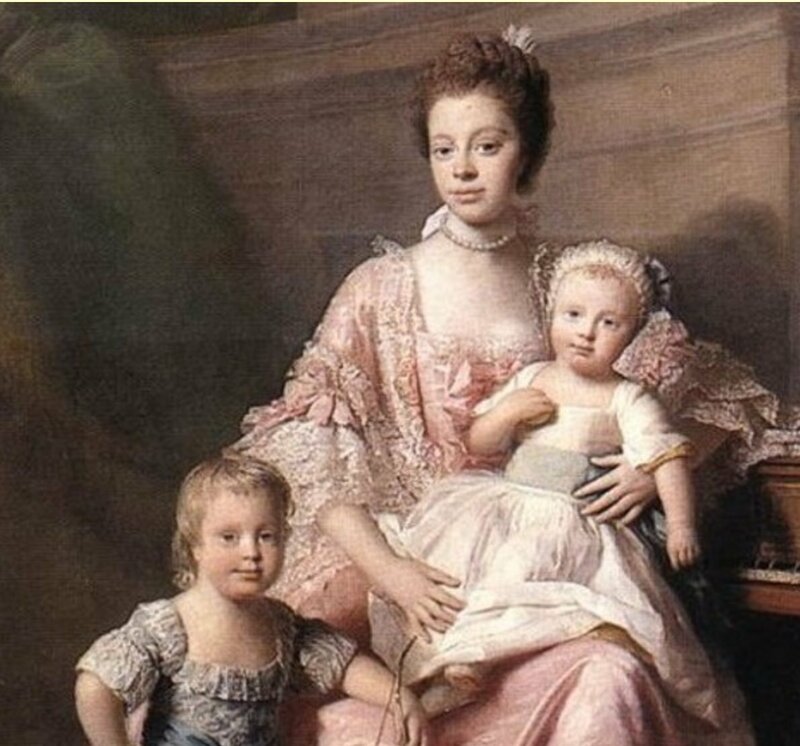 English Royal painter captured her appearance without softening her features which was called mulatto in nature. His two eldest sons, George IV (later Prince Regent) and William IV left him constantly faced with their excessive extravagance, dissolute lifestyles and profligate ways. Both of those sons eventually wore the crown, but died without surviving legitimate children. That began the reign of Queen Victoria, the last monarch of the House of Hanover. As king, war was the one constant of King George III’s reign. He oversaw the defeat of France in the Seven Year’s War, and was subsequently nicknamed “The King Who Lost America” from the constant battle with the Colonies’ War of Independence. But with the defeat of France in the Napoleonic War,Britain emerged the world’s leading power, though King George III was not in power when it ended. In Parliament, bad choices in the men he kept around him, and detesting those he had no choice in appointing, made government stability rare and created a volatile atmosphere with his Prime Ministers and in the House of Commons. But he was also the first British Monarch to study science, chemistry, physics, astronomy and mathematics. He learned French and Latin, geography, commerce, agriculture and constitutional law. And despite the loss of the Americas, there was great expansion of the empire and trade. The population almost doubled and there were great strides in agricultural methods and advances in technology. The tide of moral and religious improvement which began in the days of John Wesley, kept the popularity of a King whose religious education was wholly Anglican. Unfortunately, he was far from well during the last twenty years of his life. He had three different bouts with mental illness, but in October 1810 he had a major mental breakdown; even to the point of being restrained in a straight jacked and tied into chairs. He was renamed “The Mad King” and he spent the last years of his life completely blind and deaf but lovingly cared for by his wife and doctors. It is sad to think that the people finally saw him as an object of sympathy once George IV, was made the Prince Regent. Britain’s people watched and compared him to his son as the Prince Regent squandered the already low coffers of England and kept the dissolute lifestyle his father had hated. What rank would you be? Imagine you were transported back to Regency England. What would you want to be? A commoner? Peerage? Royalty? Why? I would want to be what I am today in my own era: a romance writer. I’ve been researching the popular novels of the Regency, and it seems that women authors were quite numerous and prolific. The “Minerva novels” were gobbled up by women readers. They specialized in inexpensive romances and gothic novels, which reader could purchase or take out from “circulating” libraries. Mary Russel Mitford and Fanny Burney were two popular authors who made their living writing romantic novels. I’m gonna have to go with the peerage, or at least gentry, on this one, for several reason. One, I’m lazy. The idea that someone else would cook my meals and do my laundry has a certain appeal, I must confess. But also, with a higher rank you had the power, time, and money to change things. I would like to have the influence and ability to run a charity or work with the underprivileged. The glitzy parties wouldn’t be bad either. I am not sure I would have been a proper member of the peerage (or royalty, for that matter) in Regency England. I find too much pleasure in the vocation of writing, I enjoy the modern comforts of jeans and coffee shops, and I value the rights women have to cote and pursue our dreams in modern society. I also wouldn’t know the first thing about having a service staff attend to my every whim, so I’d have been a poor member of the aristocracy. 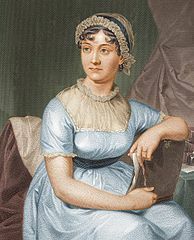 I’d rather have been a commoner with some means (so I wouldn’t have to stress about where the next meal is coming from), perhaps a friend that was invited into Jane Austen’s parlor from time to time, so we could write our next novel together? I know one thing for sure – I’d adore the clothes more than anything! Given the choice, I’d like to be a peeress in my own right like Diana in the Malloren series by Jo Beverley. It was rare and it did happen. The woman had lots of freedom and power other women did not enjoy, even after they married. I’d have to be peerage or have enough rank and wealth to assure my family’s position and a suitable match for my daughter. A house in the country and a townhouse in the city, large enough to host a ball. I’d prefer to be a commoner. It’s a hard choice to make, because when I think of peerage, they had such a posh life full of luxuries, beautiful clothes, and the best that money could afford them. But so very little of their wealth was earned. Most of it was handed down generation to generation. Plus the upper class wielded so much power on the back of regular, every day people. I couldn’t live with the guilt of spending a year’s salary on a dress. So I pick commoner. Boring and ordinary, yes. Harder style of living, yes. But they were still the backbone of the country. What about you? What would you want to be? Voting and distribution of representation by elected officials is a vital and fascinating topic today as it was during the Regency. We can now watch legislative sessions live-streamed, or follow issues of interest via the internet, but the doings of the government during the Regency were communicated by way of a journal that was sold by a publisher. In 1806 Thomas Hansard began producing reports of parliamentary debates in a journal published by William Cobbett called Parliamentary Debates. Hansard bought out Cobbett in 1811 and continued to publish the debates. This constituted a watchdog system of sorts. The set-up of the voting system was ripe for reform. In the early 19th century there were two types of constituency, country areas and towns or boroughs. 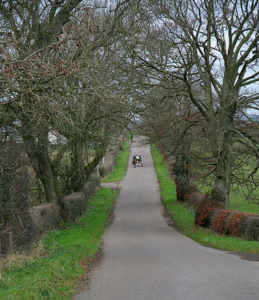 In the countryside only the landowners could vote. In boroughs the level of enfranchisement varied but was usually limited. The constituencies had not been changed for centuries and no longer reflected the distribution of the population. Industrial towns like Birmingham and Manchester did not have MPs of their own. On the other hand some settlements had died out but they were still represented in parliament! In ‘rotten’ or ‘pocket’ boroughs there might be only one or two voters! And we think red-lining is bad! The early 19th century saw increasing demand for reforms. Most people wanted constituencies distributed more fairly and they also wanted enfranchisement extended, but Wellington’s party, the Tories, resisted. The Whigs formed a government in 1830 and tried to introduce reform. The House of Commons eventually voted for a reform bill but the House of Lords rejected it. King William IV warned that he would create more peers, who favored the bill, unless the Lords agreed to accept it. Eventually the House of Lords backed down and passed the Great Reform Bill. It received the royal assent on June 7, 1832. The franchise to vote was only extended slightly but more importantly the new industrial towns were now represented in parliament. Before 1832 Britain was ruled by an oligarchy of landowners. After 1832 the urban middle class had an increasing say. 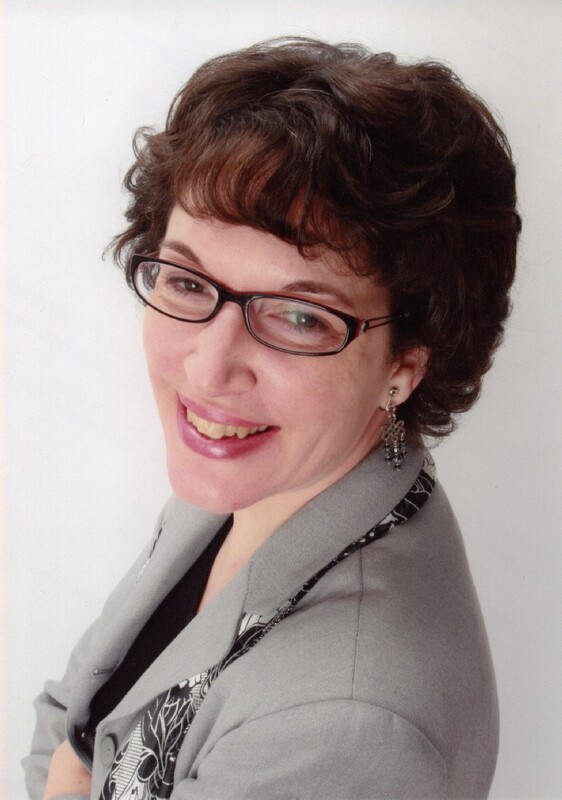 Today Regency Reflections welcomes Dina Sleiman. Dina is stopping by to show just how much influence the Regency era had beyond the shores of England. 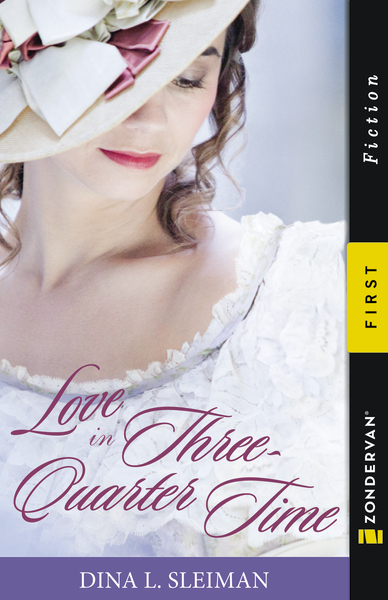 Although my new historical romance, Love in Three-Quarter Time, is set near the American frontier, it is also set during what would be considered the Regency period in England. And because American culture was so influenced by Britain, I think any Regency fan will enjoy reading about those influences in my book. Most of my characters come from an English background. In fact, several minor characters are directly from England. And my heroine, little trouble maker that she is at times, decides to fake a Yorkshire accent to try to impress her potential employers with her European background. 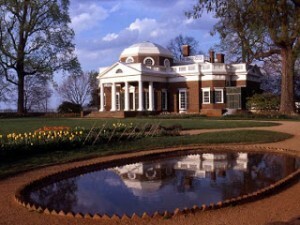 The story takes place in Charlottesville, Virginia, home of Thomas Jefferson and many other members of the “planter elite class,” which gives it a sophisticated touch reminiscent of Regency England. But it’s also situated not far from the Shenandoah mountain range, which was still considered the frontier in 1817. Let’s look at some of the elements associated with Regency culture that are seen in my book. Fashionable Americans wore the same styles as their European counterparts, and made every effort to keep up with the latest trends. In 1817, for ladies this meant higher waists than ever before and sculpted bodices. Hemlines were also higher than ever and skirts were wider and more frilled than during other times in the Regency Era. I especially give a close up look at the ball gowns of that day since my heroine’s mother is a seamstress. You’ll also see plenty of the hats, gloves, and fans that this era is known for. In men’s fashion the style had moved to trousers rather than breeches, and Hessian boots had grown passé. Although, you’ll still see these boots on some of my less fashion conscious characters. Of course scientific advances are the same in both the United States and England. The US could boast several impressive universities at that time, and plans for building the University of Virginia in Charlottesville were already underway. Let’s not forget that Benjamin Franklin had been an American innovator in science not long ago. My heroine’s sister, Patience Cavendish, has a love for science and a penchant for discussing the latest theories of heat and sound. Like her former president, Thomas Jefferson, she is very influenced by Enlightenment thinking. Both England and America were still recovering from the War of 1812. In addition, the abolitionist movement was active in both countries. Britain had abolished all slave trade at this time, although not slavery itself. America had recently abolished international slave trade but not domestic. Of course, my abolitionist characters hope that America will keep the momentum moving toward freedom, but I’m concerned that unlike in England, it will take drastic measures to put an end to slavery in the American South. Both countries were still recovering from the devastating effects of the “Year without a Summer” of 1816, which was reportedly caused by a volcano in Indonesia. Virginia itself was far enough south to escape the worst of the famine, but it did affect the economy throughout the US and earned several mentions in my book. It comes into play as my hero, Robert Montgomery, makes some important business decisions about his plantation. The Romantic Movement was fashionable in art at this time throughout Europe and the US. My artistic character, Felicity Cavendish, is a fan of this movement. In architecture the style was called “Regency” in England and “Federalist” in America, but both were heavily influenced by the Neo-classical style. This can be seen in Jefferson’s Greek Revival architecture at Monticello and my own fictional creation, White Willow Hall. While Americans enjoyed the same cultured composers as their British counterparts, they each had their own unique folk music as well. For high society balls, the dances were nearly identical at this time. England beat us to the “scandalous” waltz, however, when the Prince Regent introduced it in 1816. The waltz coming to America is a primary focus of my book, so you’ll get to enjoy many details of the waltz and other ballroom dances, as well as a peek at the world of ballet. In fact, my heroine Constance Cavendish, turned to teaching dance to support her family after her father died, leaving them destitute. Since men were highly sought as dance masters at the time, Constance must move to the frontier in search of better employment. A few weeks ago Reagan Walker shared an in depth article on this blog about the religion of this time in England. I loved this quote she shared from an Anglican minister about other Anglican ministers of this time. “[With few exceptions] the clergy held and taught a negative and cold Protestantism deadening to the imagination, studiously repressive to the emotions, and based on principles which found little sanction either in reason or in history. The laity willingly accepted it, as it made so little demand upon their conscience, so little claim upon their life.” My heroine’s spiritual journey is moving from this type of thinking to a warm and vibrant evangelical sort of faith, also typical of this time, thanks to my handsome circuit riding preacher, Lorimer. Naturally, some elements in the book are purely American including Thomas Jefferson, the Monacan Indians, the tobacco plantations, and the frontiersmen in buckskin clothing, but I think you’ll find plenty of European influence to please even the most Regency-loving soul. In fact, my characters enjoy a good Austen novel as well as anyone, although the author is still anonymous at this time. I call this my “Scarlett O’Hara meets Jane Austen novel,” and I included plenty of Austen-like twist and turns for a fun, romantic read you’ll be sure to enjoy. 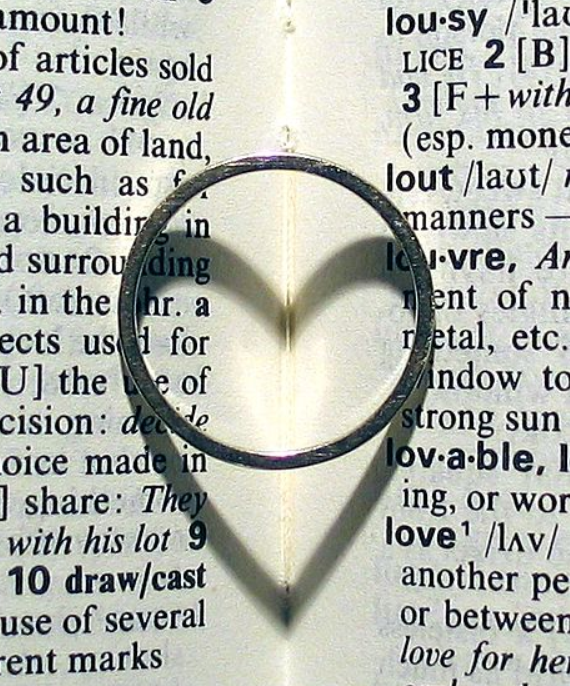 With this Ring… in Gretna Green? When my husband and I were married some twelve years ago, there were few impediments for us to reach the altar as soon as we wished to. He knelt down on one knee to ask me, I gave an enthusiastic “Yes!” and almost immediately afterwards, we began making our joyful plans. Besides the all important wedding gown, the perfect candlelit venue and the explosion of decisions that had to be made, we focused little on what the government required for our union and more on how we would put our personal mark on the day we’d pledge our future lives to each other. In fact, we lived in a location that had minimal government restrictions – we were citizens of the country and were of legal age so we had but to file with the county official’s office and in turn, would have been required to wait only 24 hours before making our walk down the aisle. In researching Regency Era marriage for a recent book project, it was fascinating to learn how different our options would have been had we lived in England some 200 years ago. Of course the differences in how an eligible young lady would have made her social debut, how a young man and woman would meet and how courting would commence is in stark contrast to what we know today. But as for government, it’s interesting to find that there is just as much government restriction on the act of marriage (and just as much dodging of said restrictions) as there would have been in force during the Regency Era. The first of these restrictions involved the literal “Las Vegas” of the day – or Gretna Green, Scotland. It was to this elopement location that many couples embarked upon a journey along the Great North Road from London in order to quickly exchange their vows. Similar to the little wedding chapels that one might find along Nevada’s famous neon strip, the tiny village of Gretna Green became the virtual Vegas of its day. 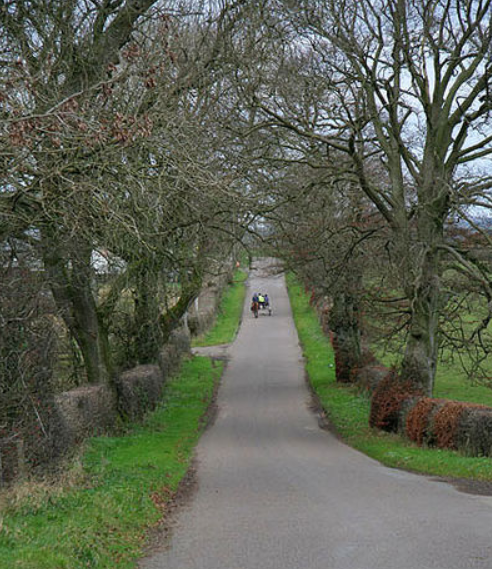 It lies just over the border to Scotland and at the time, became a famous spot for couples escaping the 1754 Lord Hardwicke Marriage Act that was still in effect in the Regency years. The British government dictated that a couple must have parental consent to marry if under twenty-one years of age. In contrast, Scotland’s age for eligible marriage was just sixteen. This led to many couples fleeing up the road on a days-long journey to traverse the border and become a Mr. and Mrs. both quickly and legally. 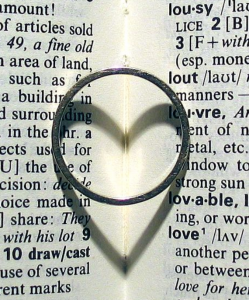 Another practice for a couple wishing to be married in the Church of England was the reading of the banns of marriage (also known as “banns”). This proclamation of marriage was announced publicly within the church for three weeks in succession prior to a marriage taking place (mainly so that anyone citing a credible reason that the marriage should not take place would have adequate notice to make such a stand against the union). 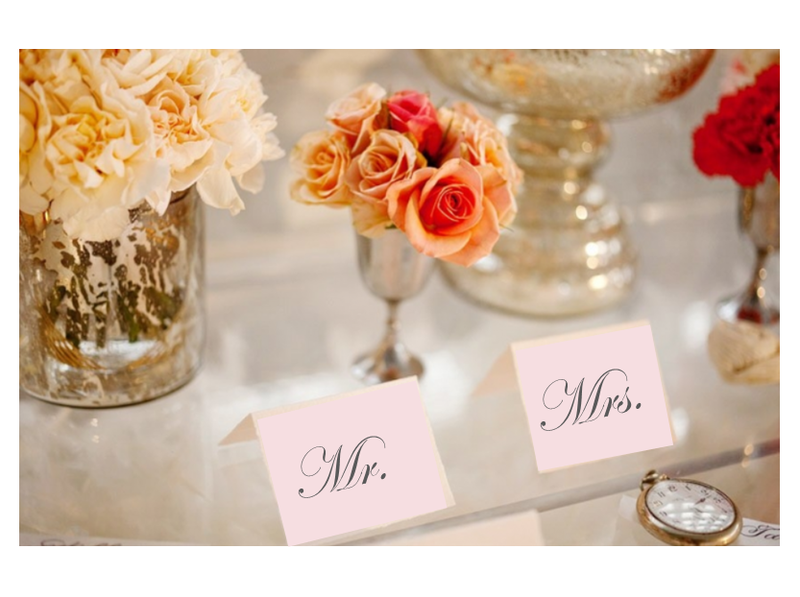 Today, a couple may be required to participate in marriage counseling or take classes to satisfy the requirements of a particular church or denomination, but the requirement would be independent of government decree. In addition, couples may declare their intent to marry by proclaiming their engagement in a public announcement, newspaper article or engagement party, though these practices are social in nature and are not dictated as a requirement by the government. For those traveling to Gretna Green, no such proclamation was expected or required. It is interesting to note that now more than 200 years after the time of these original runaway marriages, Gretna Green remains an extremely popular wedding venue. In fact, it is estimated that one in six Scottish marriages occur in the small village made famous for its take on marriage minus the control of government. Today, a wedding ring is a must. The making of a marriage promise is still a lifelong commitment. And whether or not we travel to Gretna Green to exchange the all important vows or whether we follow the requirements of the government in the locale where we live, we still say “with this ring…” with as much heart as those couples would have all those years ago. May we find joy in the union just as they did. These days, “the sword” of the government is usually jail time or fines or community service, and only occasionally the death penalty. But in the Regency, it was different. Criminals were still sent to prisons then. But in the Regency, prisons weren’t nearly as regulated as they are now. Some prisons didn’t provide enough of food or other necessities for the prisoners. Some were workhouses. Worst of all, some were “hulks”: old ships moored in the Thames, where hundreds of men were locked below deck, in the dark, doomed to fight and starve and probably die long before they were granted the dubious opportunity of transportation to the colonies. And it wasn’t just men in the prisons or hulks: children convicted of crimes were sent there, too. While men and women were generally separated in prison, adults and children were not. You can just imagine the fate of those children. If you weren’t sent to prison, you might be sent off to the colonies, on the theory that if you couldn’t commit any more crimes in England if . . . well, if you weren’t in England anymore. But perhaps the biggest difference between the way our government punishes crime and the way crime was punished by the government of Regency England was the death penalty. We still have it, yes, but it’s rarely used, and generally only for very serious and violent crimes. Moreover, these days, attempts are made to administer it humanely. But in the Regency, not only were hundreds of crimes were punishable by death, if you were sentenced to death, you were going to die publicly and probably not painlessly, by hanging. However, reform of the penal code was beginning – and ongoing – in the Regency. According to Donald Low in his book The Regency Underworld, in 1816 Sir Samuel Romilly succeeded in getting pickpocketing to be no longer punishable by the death penalty. In a time when over two hundred crimes could be punished by death, this was a notable success. Other reformers began trying to implement corrective programs in the prisons or, at the very least, to separate serious criminals from the less serious, instead of having them all mill about together, the worse corrupting the better (see Peel’s Prison Act of 1823). This post isn’t anywhere near exhaustive – the people of the Regency were inventive, and the nuances of the penal code numerous and arcane. It’s a rich field for research, but one that requires a strong stomach. But even with all these differences between then and now, prison still isn’t a good place to be, and not even always a safe place. The spirit of the reform work and the concern for prisoners that began in the Regency are still carried out today by ministries like Prison Fellowship. And then as now, children still feel the pain imposed by the penal system. With Christmas coming, Angel Tree is a great place to start if you feel a call to ministering to the children of those in prison in this day and age. And just about every city has a prison with people in it who can use visitors and books and Bibles. Things might be better now, but they’re far from perfect. The light of Christ still needs to be taken to the darkest of places. Tories, Whigs, Foxite-Whigs, Oh My. What shall become of us, Lord? The government is not stable, barely lasting two years. My fears of invasion, a total loss of the country I know and love, fills my heart. How can Providence allow such upheavals? Why change from Pitt, to Grenville, to Portland? Is the title of Prime Minister difficult to hold? I know I am just a woman. I should contend myself to my needlework. Surely, there are enough ribbons to be added to little Mary’s gown to make my mind numb to fear. Yet, how can I even think of my girl coming of age in times like these. My heart aches at seeing her cast into this society where dissension reigns. She cannot be a war bride. No! Not her. My thumb has turned painful. I yank the needle freeing it from the swelling flesh. I’ve pricked finger and stained the satin hem. Is this coursing of rouge a sign to come? Don’t our enemies in France lay in wait for our weakness? This turmoil is the proper time to strike. I dispatch my maid for fresh muslin. I will not ruin anymore ribbons with my wringing of hands. Doubt will not save my country. As I swaddle my hands in the soft cloth, my palms meet. A peace settles on my shoulders. The churning of my stomach quiets. I remember Your words. So Pitt, Grenville and now Portland… You ordained them to be Prime Minister, in such a time as these? I slump in my chair. The very thought of this contention being God’s will disheartens me. Yet, the soft words of the passage sing in my soul. 6 For this cause pay ye tribute also: for they are God’s ministers, attending continually upon this very thing. Now my heart is pricked. For I have not given tribute to the governing, just gossip and trepidation. I repent of that Lord. I uncover my hands, slapping flesh to flesh, and pay tribute. I pray for Providence’s guidance and mercy to fall upon my leaders. It is the best offering I can render. 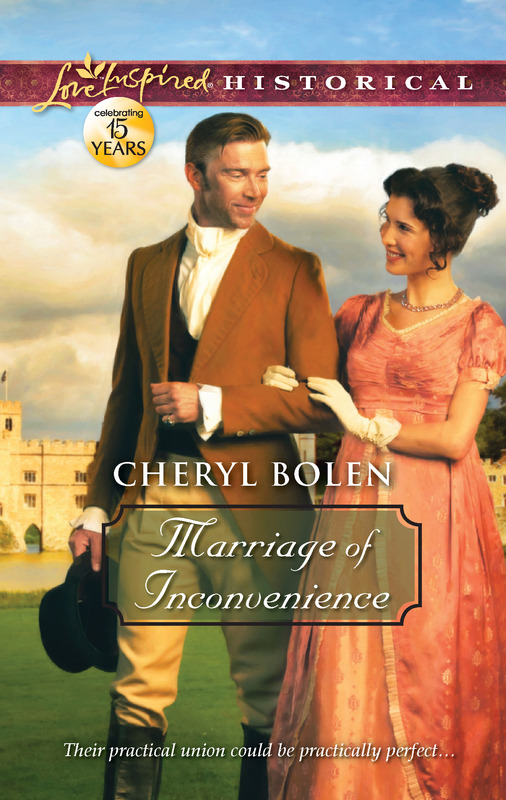 Laurie Allice Eakes (LA) invites you into an Interview with Cheryl Bolen (CB), author of Marriage of Inconvenience from Love Inspired Historical. LA: What drew you to write about the Regency Time Period? CB: My World War II book—the fourth complete book I’d written but not found a publishing home for—won a lot of contests, but publishers kept saying it didn’t fit into a genre. The final editor judge in one contest told me if I wrote a historical romance that took place before 1900 she would like to look at it. The only period I liked was the Regency England Georgette Heyer had introduced me to. I hadn’t read many of the contemporary writers of Regency because I found some of them not understanding the era as well as I thought I did. That’s when I had a light bulb moment. I can write that! I began A DUKE DECEIVED, and months later that senior editor at Harlequin Historical bought it. LA: Tell us what year your book is set in and why you chose that particular time. LA: What’s your favorite, unique Regency aspect of the novel, something you wouldn’t be able to include in a novel set in another place or time? CB: Definitely the clothes—both men’s and women’s. Love the elegant, feminine lines of women’s but especially love that the men wore knee breeches, neckcloths—and unlike men later in the century, they were clean shaven! 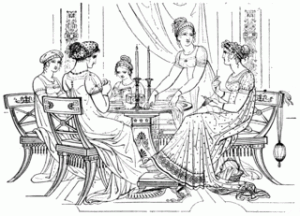 LA: What are the biggest challenges to writing in the Regency Period? CB: Some vocabulary is peculiar to the Regency, and you want to use it in a context that won’t confuse readers. LA: Why did you choose to write Regencies for Love Inspired? CB: I was honored that the senior editor of Love Inspired Historical came to me and asked me to write for her. I was thrilled because I’d developed a love of inspirational romances. 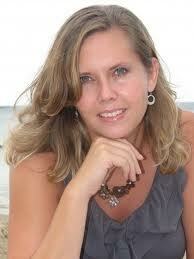 Deeanne Gist is a friend of mine, and I love her award-winning books. LA: What is your favorite Regency Food, aspect of dress, and/or expression? CB: I don’t get into food a lot in my books because I don’t think modern readers would like to read about the excessive gluttony of the period! I love the wonderful formality and manners of the upper classes in their speech of the period. I really don’t like it when I read a book where an earl says, “Call me John.” This simply wasn’t done. Ladies were always Miss Lastname even to their closest friends. LA: What is your favorite Regency setting; e.g., London, country house, small village? CB: For my own books, I like a mix of the two. I’ve been to London many times and like to describe it as I believe it looked in the Regency, but there’s nothing like those grand country estates, and I like my readers to get a taste for that, too. LA: What makes your hero and heroine uniquely Regency? CB: In my newest book, the hero is in Parliament, and it plays a particular role in my book. They both favored reforms to benefit the lower classes. LA: Tell us about your book. CB: It’s actually sort of funny that in the same month I’ve got two new releases, and both of them are G-rated. As an ebook only, I’ve got CHRISTMAS BRIDES: 3 REGENCY NOVELLAS. Marriage of Inconvenience, Love Inspired Historical: Proposing to the Earl of Aynsley seems a sensible—if unconventional—solution to Miss Rebecca Peabody’s predicament. As a married woman, she will be free to keep writing her essays on civil reform. Meanwhile, the distinguished widower will gain a stepmother for his seven children and a caretaker for his vast estate. But the earl wants more than a convenient bride. He craves a true partner, a woman he can cherish. To his surprise, the bookish Miss Peabody appears to have every quality he desires…except the willingness to trust her new husband. Yet despite his family’s interference, and her steadfast independence, time and faith could make theirs a true marriage of hearts. Cheryl Bolen’s Bio: A former journalist who admits to a fascination with dead Englishwomen, Cheryl is a regular contributor to The Regency Plume, The Regency Reader, and The Quizzing Glass. Many of her articles can found on her website, www.CherylBolen.com, and more recent ones on her blog, www.CherylsRegencyRamblings.wordpress.com. Readers are welcomed at both places.